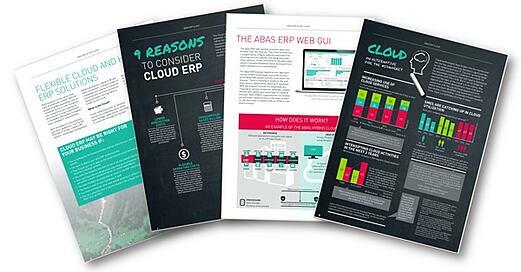 Download abas ERP in the Cloud to learn more about how to make your business more agile and profitable! Cloud ERP solutions provide real-time data availability over a widely dispersed network. No matter how matter how many locations you have, users can all access the system running in the cloud from their web browser or mobile device. And with ERP in the cloud, multi-location deployment is easier too. You can deploy your application in multiple regions around the country or around the world with just a few clicks. Is Cloud ERP right for me? What is a Hybrid ERP system? Advantages of moving to the cloud? ERP in the cloud and Hybrid ERP enable manufacturers to be more agile, adapt quickly to changes in their operating environment, and capitalize on opportunities faster than their competition.